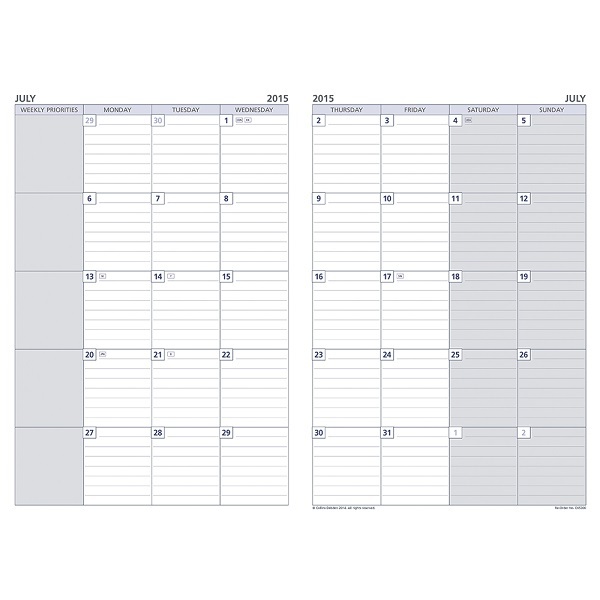 Layout - 1 Day to a Page with 1/2 hour 7 am - 7 pm appointments. 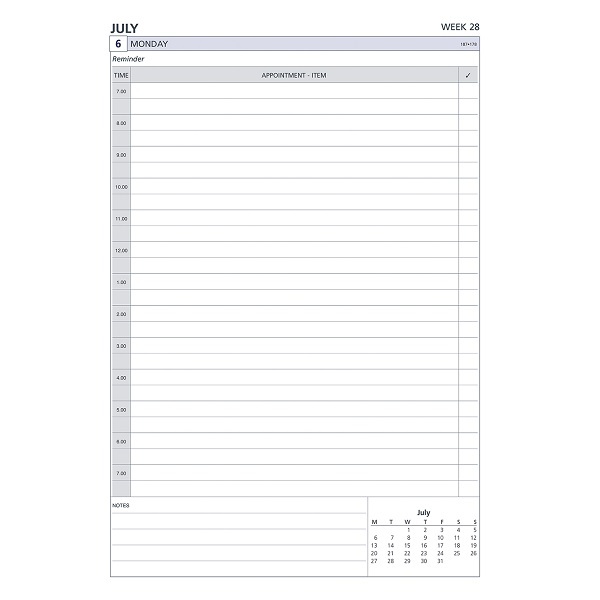 4 Hole Punched to fit DayPlanner® and most A4 systems. Layout - 1 Month to a View. Layout - 1 Week to a View with 1 hour 7 am - 7 pm appointments. 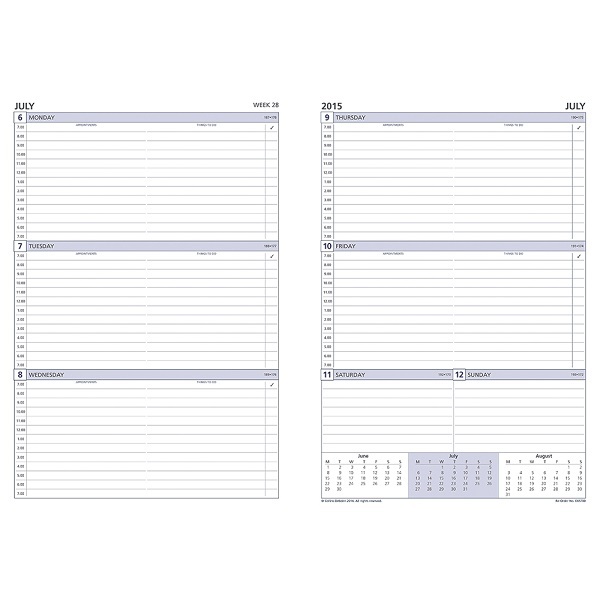 Weekly Non-Dated Diary Refill for Executive A4 DayPlanner Organisers.